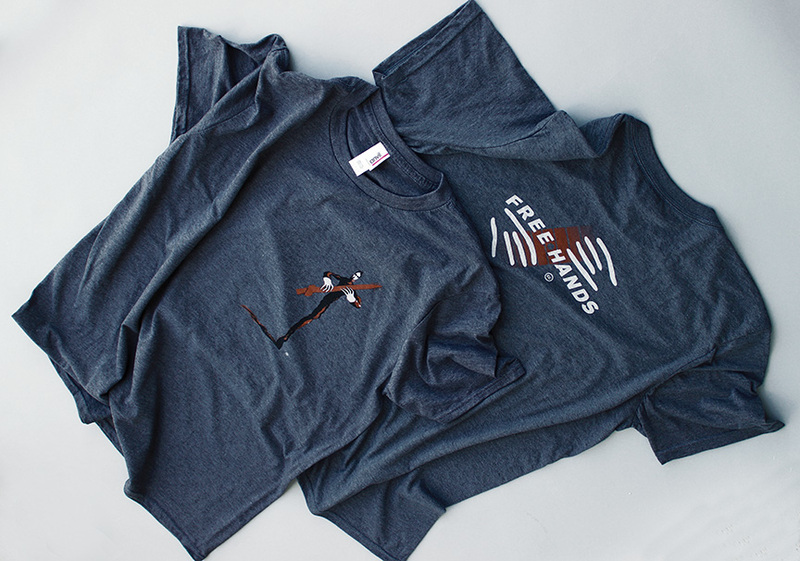 Our new T-shirts feature the classic Stick Man logo on the front left, and the Free Hands logo on the back. In "heather grey" soft lightweight cotton poly blend. Available in M, L, XL, and 2XL sizes. .
Made in the USA. $20 plus shipping.